One rubber chicken, dodgeball, pillow…etc. 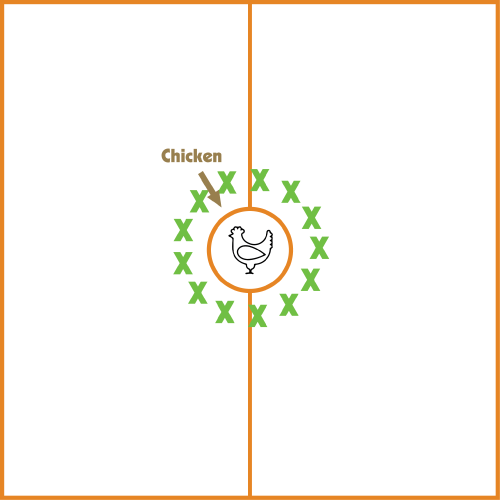 Have the entire class form circle and give one student the chicken to start with. The teacher then starts the timer. The person who starts with the chicken will say the name of someone (it can not be someone that is standing immediately beside them) and then tosses them the chicken. If the chicken is caught, then the thrower sits down and the catcher says the name of another person, throws them the chicken, and then sits down. If any catcher misses the chicken (and the chicken hits the floor), then the chicken must go back to the starting thrower, everyone has to stand back up, and the game has to start again. The timer stops when the last person catches the chicken and immediately sits down. Do the game as many times as you like and then write your class’s best time on the board. You can also make several circles, and have them compete against one another.